In the following exercises, the graph drawn is of position versus time. The animation shows the position of a puck as time progresses. 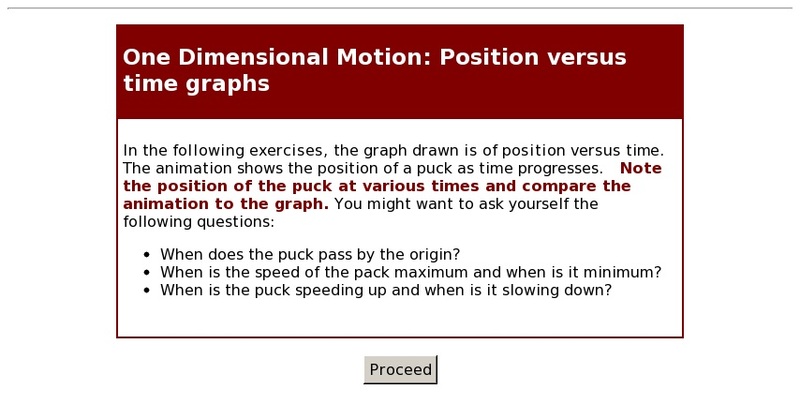 Note the position of the puck at various times and compare the animation to the graph.